There are 5 reviews of Orangers en Fleurs. Well-balanced orange blossom led white floral. Holds jasmine and tuberose beautifully in check to create something pulsing with life but not feral. Whereas the overriding impression is of naturalness, the later entry of the ylang is the wild card – its rich banana-like density pushes Orangers en Fleurs out of the wide open spaces and closer to the hothouse in the midsection before fading back in the mix. There’s no denying this is a warm orange blossom (as claimed by the makers) what with its subtle use of nutmeg to underscore that aspect, but one that works just fine when the mercury is high. Orangers en Fleurs is really nothing new but it is beautifully executed. It is an orange blossom soliflore of great quality . It's got that great uplifting citric and slightly watery quality to it - almost drinkable .Like the Lutens' Fleurs d'Oranger scent. In fact, it is nearlyidentical ...actually it is identical . Begins strong , almost strident and full in your face orange blossom with that great nutmeg pairing and remains so. All the other notes are supporting players only. Fantastic. 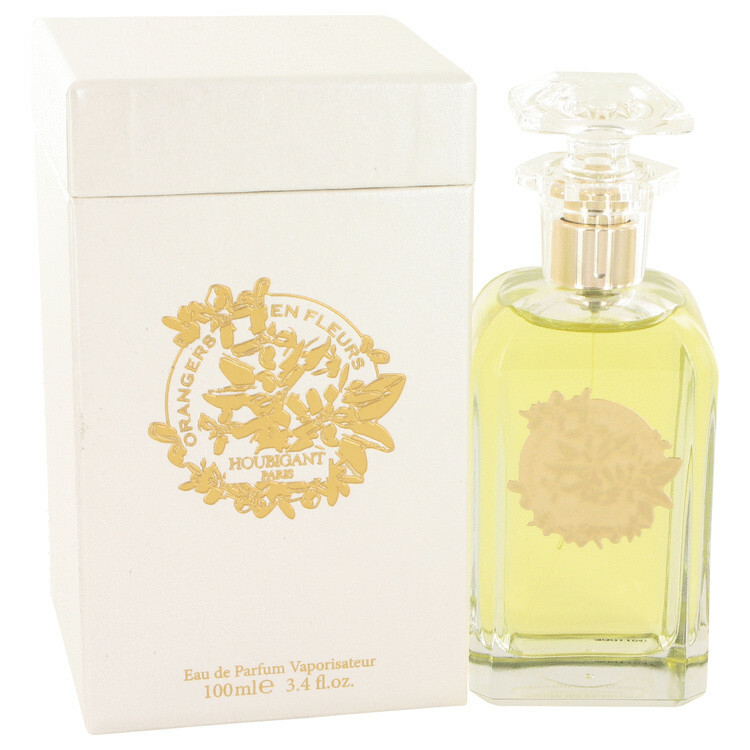 Eau de brouts which is a note in this perfume ....., I learnt , is an extraction of the orange tree leaves. The term was coined by an american perfumer as the stuff smells like brocolli. 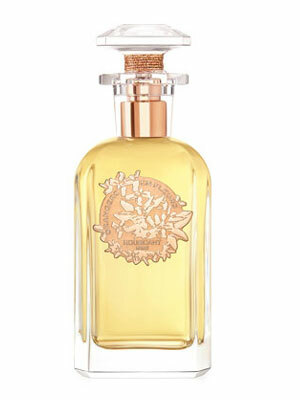 This is indeed a cousin of Serge Lutens Fleurs d'Oranger without the strong cumin. It is a lovely orange blossom with florals and greens. Nutmeg provides the subtle spice. If you love orange blossom, this is a must-try. Not as powerful in longevity and sillage as the SL, this is a bit more than moderate. Hopefully this means that Houbigant, a company with REAL historical roots dating back to the 18th century, will be coming back into the fragrance market with interesting scents. At $180 for 100ml, this is a luxury item. The bottle is made to look like antique crystal, yet sadly the cap over the spray nozzle is made of plastic. Not impressed. I would have thought it should be glass at this price. The foil label on the bottle makes references to the bottles from the 1920s and 1930s, and had hoped Houbigant would have at least a glass cap to take the luxe reference even further. Even the mainstream Chanels (in the iconic square bottles) have glass caps; the No. 19 Eau Poudree has a cap of frosted glass. All in all, the scent is elegant and even unisex for those who enjoy orange blossom. 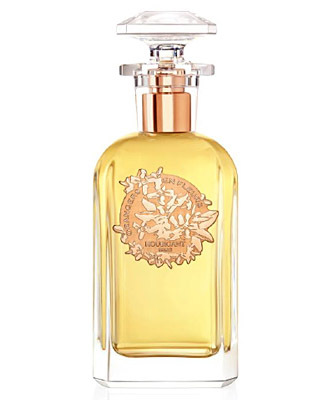 Houbigant's vibrant, airy take on the orange blossom with green florals and clean musk doing the heavy lifting. The focus is very much on the lighter end of the spectrum with a smidgen of warmth in the base to round things out. ORANGERS EN FLEURS smells good and I do wish I smell this more often. It reminds me of a smoother MFK APOM Homme sans the cedar. If I were to nitpick it would be its apparent lack of depth which could have been sacrificed for the sake of levity. Clear, radiant orange blossoms that speak of sunshine and happiness. No indoles, sultriness, heaviness, etc. I really couldn't detect any nutmeg, cedar or musk....must just be rounding it out a little. There are no member images of Orangers en Fleurs yet. Why not be the first?